Collagen and elastin help keep your skin firm. 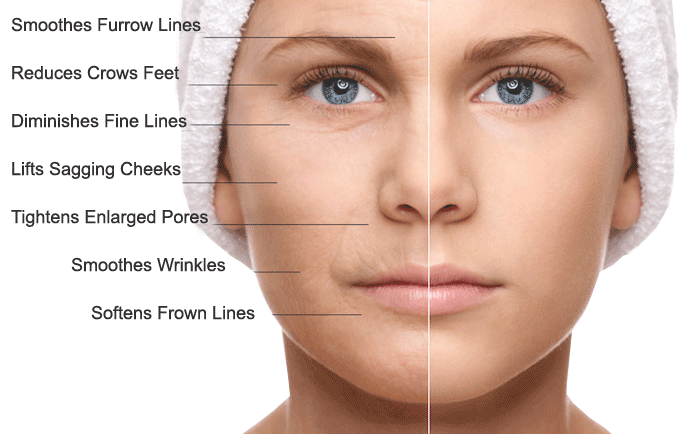 You may develop sagging skin with age as your skin loses its natural elasticity. Extrinsic factors such as repetitive facial expressions, sleeping positions, smoking and sun exposure can prematurely age your skin and lead to sagging. Micro-dermis treatments are the latest buzz in the market as a way to deliver nutrients deep into the skin, thereby promoting collagen synthesis and revealing rejuvenated, smooth and silky skin. As new collagen and elastin are produced over time, the face appears more firm and youthful. This is a cost effective and low risk way to age well. Combined with peptides and vitamin A/C skin care products, Micro-derma treatment can produce healthier dermal structures and an epidermis that is 700% thicker! This popular procedure is safe and well-tolerated. You can rest assured that Angel will tailor the treatment to suit your specific needs.